It appears that there is another contest running over at the BENSPARK. Drew is giving away a big box of awesome. I think we all have different ideas about what would be in a big box of awesome. If I were creating a big box of awesome I would definitely put an Orange Stressball from istonish in that box. 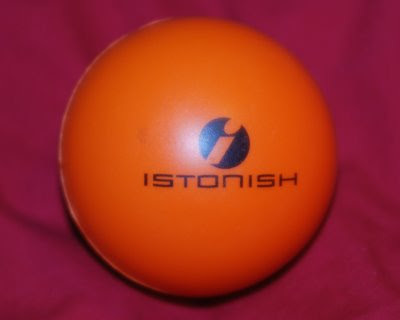 I use istonish for all my stress ball needs. If you are looking to win a big box of absolute awesomeness be sure to enter this contest. I hope I win the only thing that could possibly make this box any more awesome would be if I got inside the box. I hope that when you are done with the ball it is not covered in dog slobber. We could all use a stress ball that's for sure! My cats like to chase them also. What Happened to Glenn Noland?